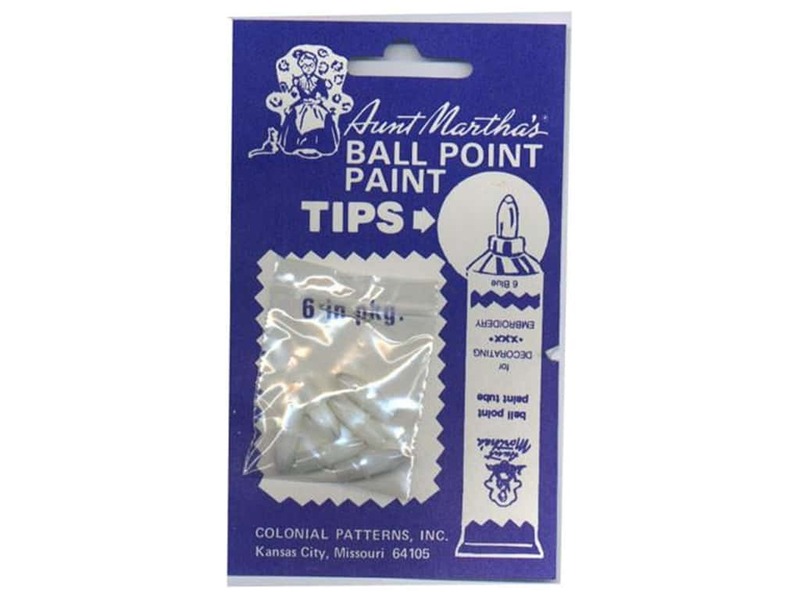 Description: Replace the worn, damaged, or clogged tips on your Aunt Martha's Ballpoint Paint Tubes quickly and easily. Simply twist and pull the old tip off your tube, then twist and push the new tip on. Your ballpoint paint should work as good as new! 6 pc. Aunt Marthas Replacement Tips 6 pc. -- CreateForLess 5.00 out of 5 based on 1 ratings. 1 user reviews.